Did you wake up with a splitting headache this morning? You are lucky if you did not. There are lots of business owners who wake up with one. The reasons for the headache are usually related to one or many of their business problems. The most common problem for a small business owner is to do with bookkeeping. The seemingly simple task of bookkeeping can take its toll on anyone, let alone the owner of a small or medium business struggling to juggle a million important tasks in 24 hours. How do you manage your bookkeeping? Do you do it yourself? Or do you employ a bookkeeper? Or perhaps you have an accountant's office next door who manages your bookkeeping? If you are doing it yourself, is it up to date? Are you confident that it is accurate? One of the main reasons why small business owners do bookkeeping is for pleasing the tax authorities. Another is for reassuring themselves. When you keep track of where all the money goes, it is indispensible that you maintain accuracy. One has to verify and cross-check entries regularly and reconcile accounts to make sure that the figures match up. A small harmless transaction can create havoc when overlooked. When you have accurate figures in front of you, it would also be easier to chalk out future plans and budgets for your business. Comparing financial statements to make important decisions highly depends on accuracy of the accounts. Therefore it is very essential indeed, to maintain accuracy in business bookkeeping. If you are not very sure that your bookkeeping is presently managed well to ensure accuracy, you can consider an alternative — outsourcing. Here are a couple of reasons why you should outsource your business bookkeeping activities to a reliable third party. 1. You can spend more time on your customer relationship while developing your core competence. How to choose your bookkeeping outsourcing partner? You have two options. Choose a local outsourcing provider. 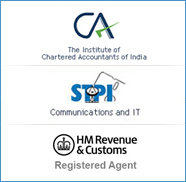 Or choose a bookkeeping outsourcing provider like Integra that operates from India with local support in your region. By outsourcing bookkeeping services overseas, especially to companies like Integra, you also get to enjoy good quality service at lower prices. We at Integra are just a phone call or an Email away. Outsourcing your bookkeeping to us is perhaps a better and more permanent cure for that splitting headache — definitely better than aspirin!